Find your limit, then move past it. The sweat-wicking design of this women's t-shirt helps you stay cool and dry as the temperature rises. 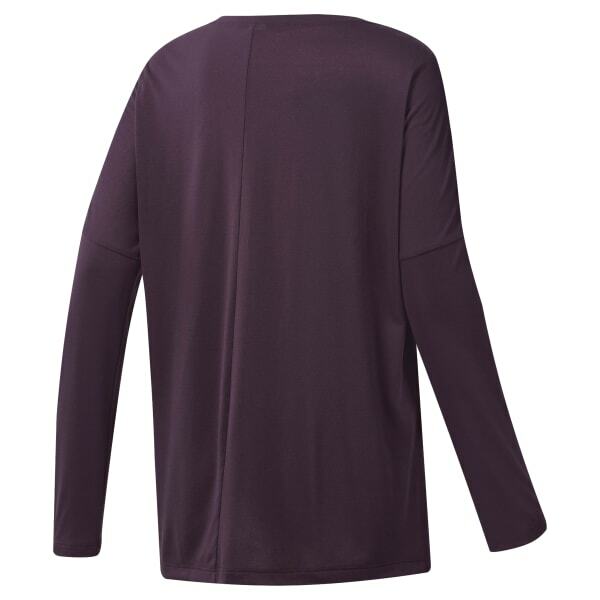 The long sleeves and droptail hem provide added coverage. A relaxed fit and slits on the sides encourage easy movement.